The Roberts 43 is a popular steel long-distance cruising yacht and was designed by well known Bruce Roberts. This vessel has been cruised extensively and used as a live aboard in the Caribbean with some 47,000 sea miles under her owner. On her last Atlantic crossing she completed 1860 miles in 13 days - an average of 5.9 knots! 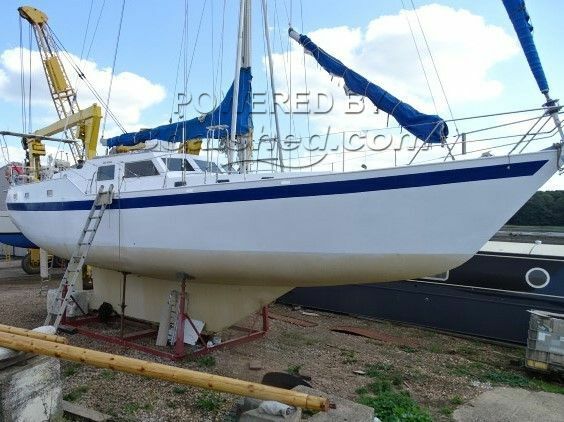 This Bruce Roberts 43 Pilot House Mk2 has been personally photographed and viewed by Nicholas Crook of Boatshed Suffolk. Click here for contact details.